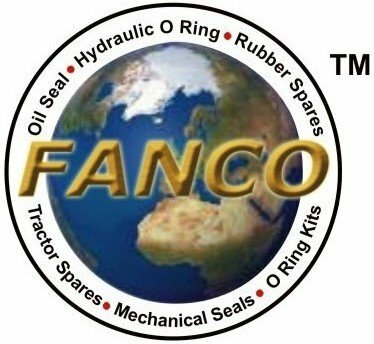 With the Rich Industry Experience of 25 years, we are offering Automotive Rubber Spare Parts and Tractor Rubber Components, Oil Seals, U Seals, Hydraulic Seals, Piston Seals, O Rings & O Ring Kits. We are capable of developing new,engineered parts and customized products as per customers Requirement. Besides the extensive range that we offer we have facility to manufacture as per clients specifications.We ensure that our entire range is manufactured using Quality raw material such as Nitrile, Silicon, Viton, Neoprene, Polyacrylic, SBR, E.P.D.M and PTFE that are sourced from reliable vendors.Our laboratory is equipped with Hi-Tech Machinery and Latest Rubber testing equipment to ensure that our compounds meet our customer specification. We have the complete range of equipments for carrying out studies of Rubber microstructures. Our entire range of spares is widely acclaimed for attributes like high tensile strength, longer service life and temperature resistance. These are used in different types of vehicles like Tractor, Truck, Car, Jeep, JCB and LMV by many renowned brand names such as Massey Ferguson, Zetor, Eicher, Jeep Willey's, Ford/Farmtrac, Duetz, Swaraj, Romania UTB, Escorts, HMT, Mahindra, Holland, Kirlosker, Sonalika, Bedford, Leyland, Hindustan Trekker and Jhon Deere.